Hello. 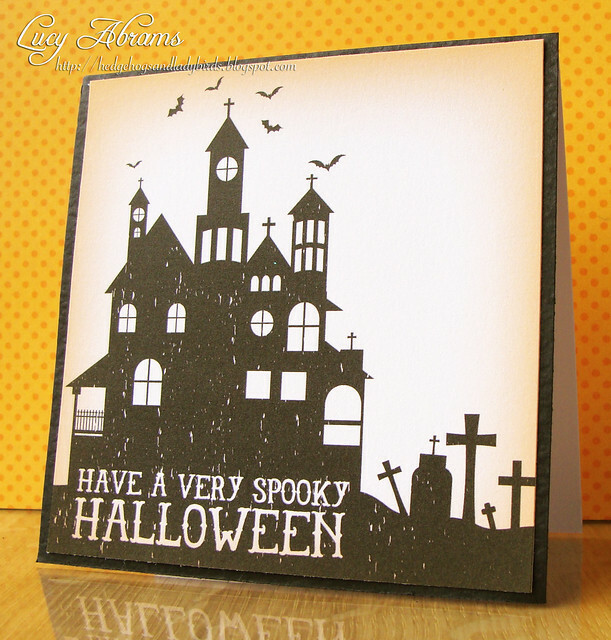 I'm here today with 2 cards created with the new Haunted digikit by Hero Arts. This is such a fun Halloween kit with loads of potential for different projects. My first card is inspired by two A-MAZ-ING cards by the talented and fabulous Lisa Spangler. 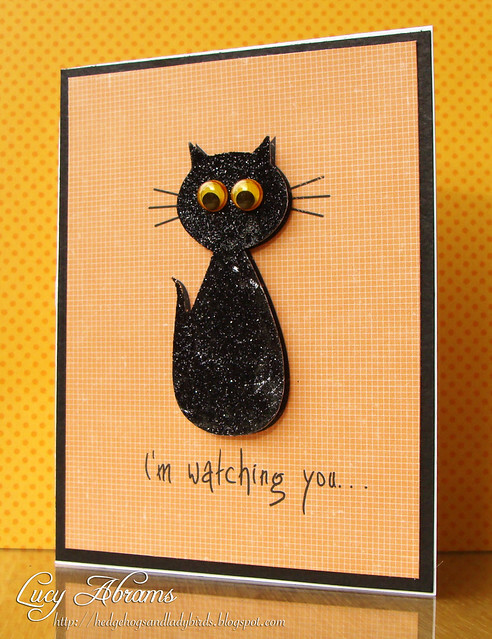 I chose to glitterise my cat (a la THIS beauty by Lisa) AND color my wiggle eyes (inspired by THIS card) to match the Halloween theme. Isn't Lisa AWESOME. I applied the glitter using Glossy Accents. Oh, and THIS is my favourite glitter. The sentiment is typed (using THIS font), and the paper is from THIS digikit. So, two ways to use this fun kit. Hope you like them. Have a great day, see you again soon. P.S. These and the two cards from my last post are now in my Folksy shop. AND I have a special offer on. Click HERE to see. I'll ship worldwide. The cards look great. Love the glittered cat and the colour of the eyes and the house looks fab too. Fantastic cards! Love the cat!! Your papers look so good - what printer and printer paper do you use for your digi files? Love to see what you do and how you put cards together. I LOVE the black kitty! So elegant and chic and oh those eyes!! LOL The haunted house looks wonderful too! These are awesome! Love that glittery cat....SO cute!